Govt. gets its off shore wind policy right, but what about onshore wind power reforms ? The Draft National Offshore Wind Energy Policy 2013 released by MNRE has several essential ingredients in place such as mandatory Environmental Impact Assessment (EIA), Coastal Regulation Zone (CRZ) clearance, International Competitive Bidding (ICB) and Decommissioning policy. However several key concerns about the on-shore wind power still remain at large. 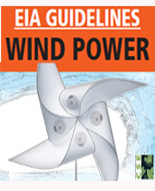 Draft policy for Offshore Wind Energy Policy mandates EIA for off-shore wind power development, however there is no such provision existing for on-shore wind power sector. Wind power has started showing huge impact on natural resources especially forest land. As per the data available with Ministry of Environment and Forests (MoEF) since 1980, area totaling to 3932 hectares has been diverted for wind power. And all this diversion has happened without any Environment Impact Assessment being done to study their impact. The Western Ghats Ecology Expert Panel Report (WGEEP) chaired by Prof Madhav Gadgil has recommended EIA for wind power as forest clearances for wind power project has been found to be granted by misrepresentation of facts. Moreover, as per the Gadgil committee report, CSE research and field visits, wind mill projects have been found to cause large scale erosion and landslides through poor construction of roads with steep gradients and all the rubble ending up on fertile farmlands and river streams. India is always power deficit. Though some states of the country such as Tamil Nadu are rich in renewable energy like wind power, but some of the power being generated by the wind mills goes unutilized for the want for proper transmission infrastructure. Though the government has ambitious plans to set up green energy corridors to evacuate renewable energy with assistance from German government, it needs to be expedited so as to ensure smooth growth and development of renewable energy in the country. Government of India had announced Rs 800 crore for Generation Based Incentives (GBI) for wind energy sector in its annual budget this year. However wind power investors are yet to taste the fruits of this incentive. Many of financial institutions have held back investments waiting for actual implementation of this incentive. The impact of it is already visible in sluggish growth in the wind power sector. The off shore policy for wind power also includes requirement of decommissioning programme along with EIA. However there is no such policy in place for decommissioning of on-shore wind turbines. Wind power in India had already begun 20 years ago and many wind farms have either completed their life or are about to complete. Hence it is very important for decommissioning policy to be framed for on shore wind turbines so as to optimize the use of land resources. Owners of very old wind farms should consider repowering or selling their land asset to other potential wind power developer who can set up bigger capacity turbines so as to optimize land usage. It is also need of the hour to utilize high PLF wind power sites to the maximum potential which do not impact the environment. Mapping of non forest areas having high wind power potential needs to be undertaken on priority basis. Hence the government incentives and push should be directed towards efficient utilization of wind power resources which have minimum negative impact and maximum outcome in terms of power generated and utilised.